Even just a generation ago, people often remained in the communities where they grew up. But today it’s not uncommon for adult children to live in different counties or states. Adult children who live remotely often find it very challenging to navigate the logistics of finding the right care to meet their parent’s changing needs. The emotional toll from trying to juggle the role of remote caregiver along with the demands of work and their own family obligations can be enormous. Who Will Assess My Parent? 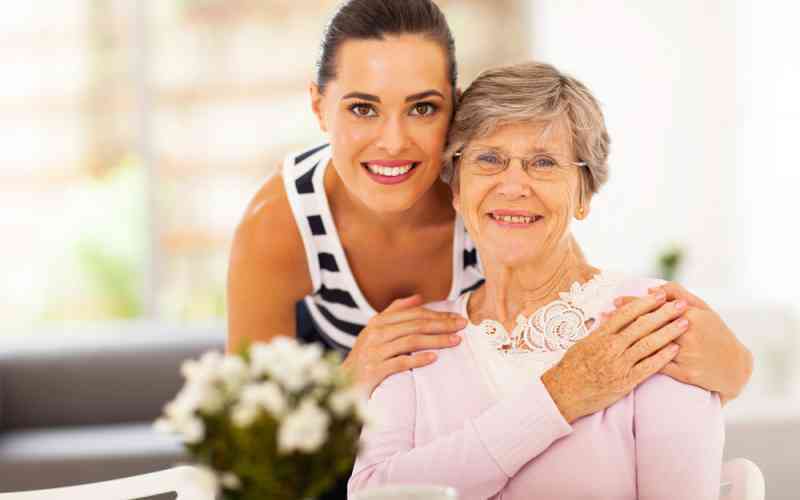 It’s important to find out what type of professional within the senior living community will assess your parent to determine level of care they need. It’s also important to ensure that this professional is part of an experienced collaborative team comprised of medical professionals who will work together to make sure your parent receives the support they need. Additionally, it’s likely that your parent’s needs will change over time. Selecting a supportive community that can adapt to the uniquely changing needs of residents will be mean less stress for you and your parent in the long run. Who Will Take Care Of The Logistics? There are a myriad of details involved with a move, from paperwork that needs to be filled out to determining what furniture and other personal items to bring, to helping your parent get adjusted to a new routine. If your parent is moving from a home that they have lived in for 30 or 40 years or more, there also will be a lot of planning to determine which items to give to other family members and which to donate or sell. Find out how someone from the senior living community will support you in organizing the move and ensure that your parent settles into their new home. Who Will Take Care Of Transportation? If your parent no longer drives, find out what transportation options are available within the community for shopping and errands, medical appointments and local outings. How Will Daily Status Get Communicated? When you live far away, it’s not possible to just pop-in for a quick visit. And sometimes a daily phone call just doesn’t provide enough detail to really understand how your parent is settling in and what their day is like. Also, you’ll want to be updated regularly on your parent’s general health and well-being. At Kyffin Grove, family members use a special app to keep track of their loved one’s activity within the community. Why Should We Select This Community? When you’re touring supportive living communities, ask what makes them special. Find out what differentiates them from the many other communities on your list. At Kyffin Grove we offer several benefits for families who live outside of Montgomery County Pennsylvania. First, we offer quick move-in. And we mean quick - if you make a decision on Friday and there’s availability, we can move your parent in on Saturday (the very next day). Last year, we even coordinated a move-in on Christmas Day! Same day moves are not unheard of. Second, we’ve helped hundreds of families make this transition. We’ll provide support and advice to make your parent’s move and transition as seamless as possible. We will get your parent involved in activities right away, introduce them to staff and residents to help them start making connections and friendships. Third, we’ll keep you up to date. With our easy-to-use app you’ll be able to see for yourself what’s happening at Kyffin Grove and we are always just a phone call or email away. Schedule a tour to learn more about senior living at Kyffin Grove and to check on availability.